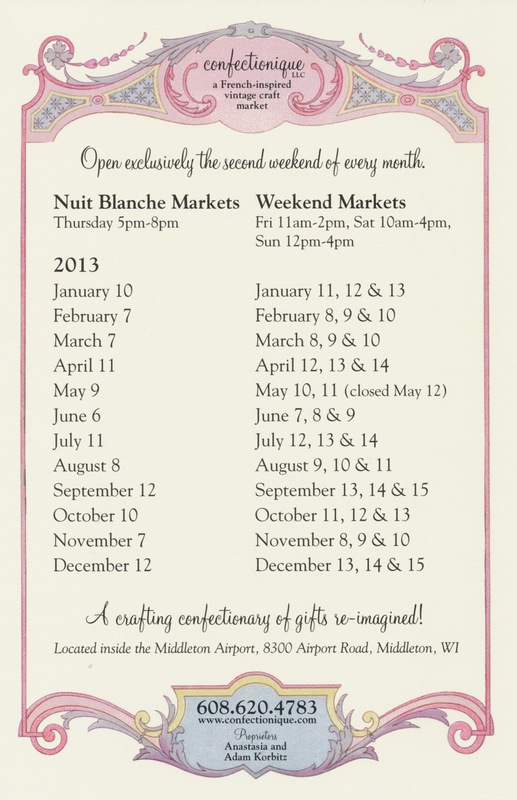 Confectionique: 2013 Market Dates Now Available! 2013 Market Dates Now Available! 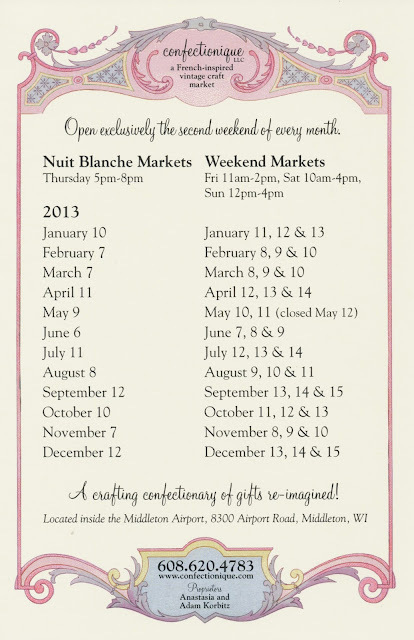 Our 2013 Market Card is now available! Click on the picture below to download it and print it off, or better yet, stop by our upcoming "Amour Market" from Feb. 7-10 and pick up one for yourself, and a few for your friends! As we go down our list of resolutions, we have a few surprises in store for the New Year . . .